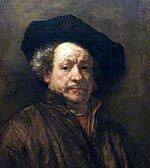 Jan or Johan Vermeer (1632-1675) was a Dutch Baroque painter from the ‘Golden Age of Dutch Painting’. He was obscure during his lifetime; but in the Nineteenth Century, his work was brought to light, and he is now regarded as one of the greatest proponents of Baroque painting – with his focus on simple portraits and household scenes. There is not much information about Jan Vermeer’s life. He didn’t travel much outside Holland, and most of his paintings were bought by a local man. His father was a merchant of paintings and also a local inn owner. When his father died in 1652, Jan took over the business of selling pictures. The next year, (1653) Jan married a young Catholic girl, Catherina Bolnes. A condition of the marriage was that Jan had to convert to Catholicism from his Dutch Reformed upbringing. Together they had fourteen children, though four died before baptism. 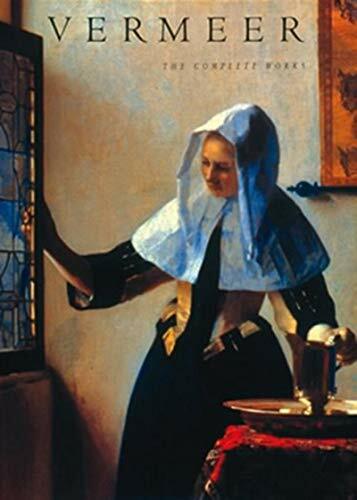 One of the most striking features of Jan Vermeer’s paintings is the radiance of light that illumines his pictures. Some art critics, such as David Hockney, have speculated that this was due to his use of a very primitive form of camera (Camera-obscura) which enabled a capture of light and exact placings. Jan Vermeer suffered from the economic downturn which hit Holland around 1653, and in 1654, his city Delft suffered a bad explosion. 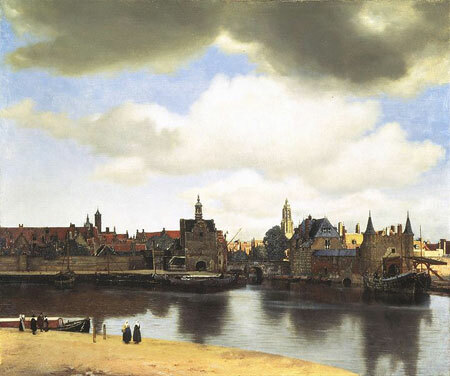 Though one of his most famous paintings is of Delft – choosing the half of the city not damaged. More difficulties arose for the Dutch. In 1672, a severe economic depression hit – harming Jan’s art business. Holland was also invaded by French and English forces leading to panic throughout the country. Jan’s business was badly affected and, perhaps as a result of the financial stress, he died in 1675, aged only 43. 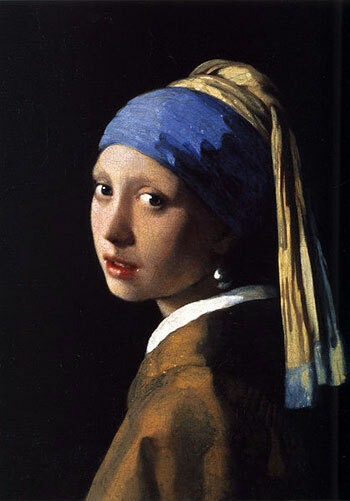 The Girl with a Pearl Earring circa 1665. A Vermeer Masterpiece – after the most recent restoration work in 1994; the subtle colours of the portrait have been brought to light. It is sometimes referred to as the “Mona Lisa” of the North. Citation: Pettinger, Tejvan. 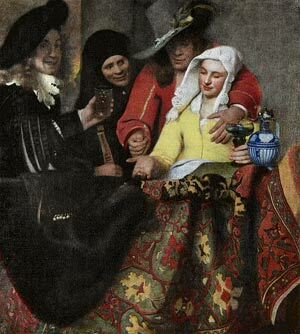 “Biography of Jan Vermeer”, Oxford, www.biographyonline.net, 20/12/2009. Last updated 5 February 2018. Famous Dutch People – A list of famous people from the Netherlands. Includes; great Dutch painters, such as Rembrandt and Vincent Van Gogh; philosophers Spinoza and Erasmus. Also Dutch sports stars, such as Johan Cruyff.